Greek Senate and Westfield High School to host the FTK Color Run 2019 on April 7. Photo Courtesy pf Greek Senate. The color run will begin at Vaughn-Eames parking lot and snake around Kean's main campus. "We're doing registration at Vaughn-Eames and, in the case that it rains, it's going to be in Downs Hall. [We're] going in front of Wilkins Theatre, down the main parking lot in front of Wilkins, Bruce, Hutchinson and around Kean Hall. We're going to do a loop around [the] Kean Hall parking lot and then come back around again through Willis, then go back to Vaughn Eames. We're going to stay in the interior parts of campus," said Assistant Director for Greek Life Alex Louis. During the route, students will be splashed with powdered color. Students are encouraged to wear white so that the colors will appear more vibrant. Students are also advised to bring water as it is a marathon although students may opt to either walk or run. All the money raised will go toward the total fund raised for the Children's Specialized Hospital. 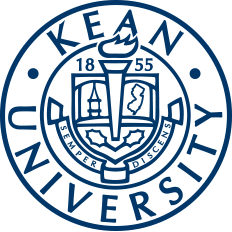 Every year Kean University raises funds over the course of the school year for the hospital and challenges the community to reach new goals. This year's goal is to donate $50,000 to the hospital. Located in Mountainside, NJ, the Children's Specialized Hospital caters to children in need of special care. These needs are addressed both through inpatient and outpatient care to address illnesses, disabilities and both developmental and behavioral challenges. The money helps to support the hospital's efforts, the children and their families. The total funds raised will be revealed at this year's Kean Dance Marathon which will take place Friday, April 12 from noon to midnight. 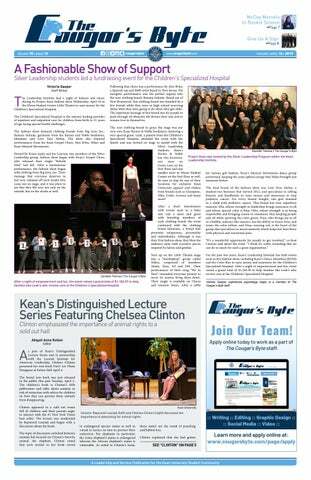 Since then, Kean University has united its efforts through a variety of programs and events leading up to the big reveal. FTK Color Run is only one of the many events Greek Senate has hosted this year, but it is the first color run hosted in the history of the organization. "Support a great cause: The Children's Specialized Hospital. It's especially for the kids that are not able to do things on their own. The hospital provides all that stuff for them as far as medicine and therapy. The hospital will do that all for them. It's a great cause and, if on Sunday morning you're not doing anything, come and support The Children's Specialized Hospital," said Louis. For more information on the event contact the Center for Leadership and Service (CLS) at (908) 737- 5170 and visit the event's web page on Cougar Link.